Eric and I intended to do Vivian Creek today but it was closed for logging. So, we headed for South Fork. There was snow on the side of the road as we passed Forest Falls and on the road higher up. There was enough loose snow on the trail to slow things down. 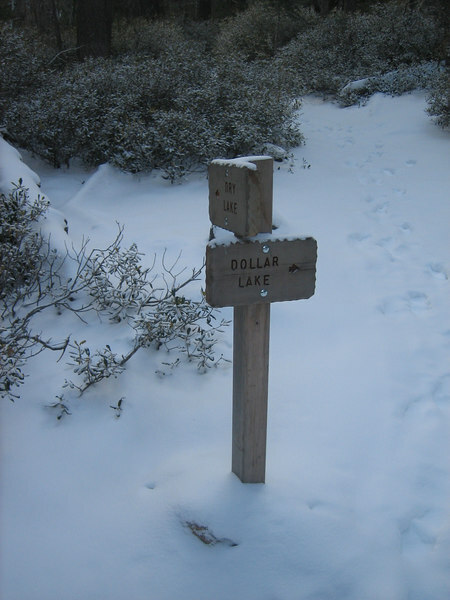 We decided we would not try the Dollar Lake trail, so we headed for the chutes. Unfortunately, there was enough snow to make things slippery but crampons were hitting rock on nearly every step. We settled for a short trip today, up to about 9500'.